Down forwards go in for attack on Kerry player during the Kerry v Down All Ireland Senior Gaelic Football Final, 22nd September 1968. 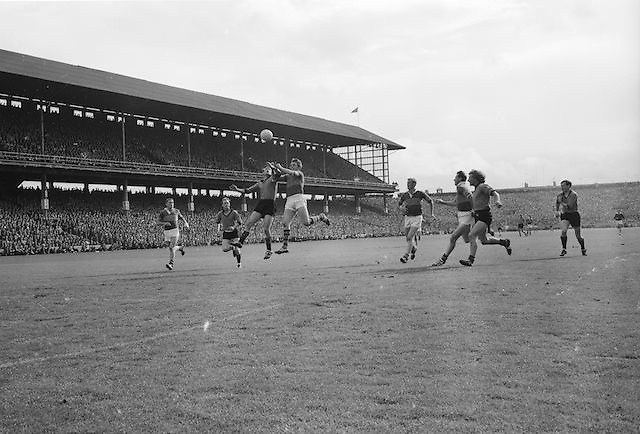 Two of the Down forwards coming in to attack the Kerry defence S. Burrows during the All Ireland Senior Gaelic Football Final Kerry v Down in Croke Park on the 22nd September 1968. Down 2-12 Kerry 1-13.